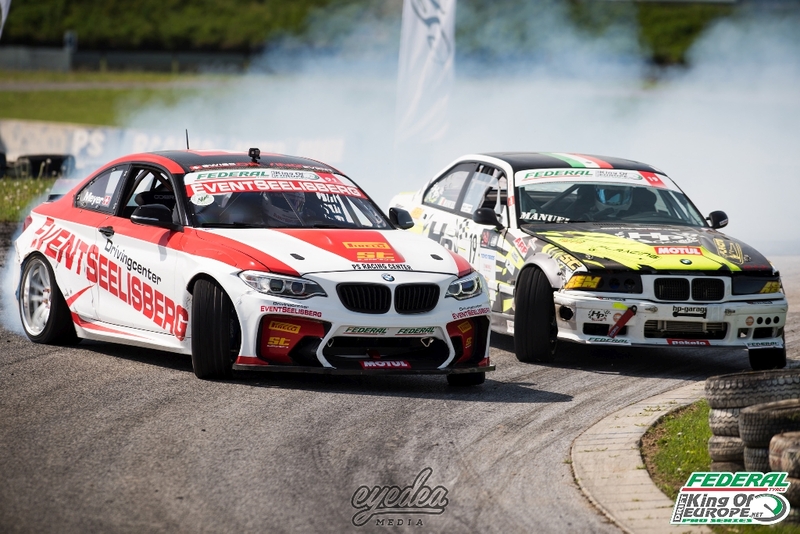 It was the perfect weekend for the opening round of the 2018 Federal Tires King of Europe powered by ST suspensions season as Greinbach, Austria opened its doors for thousands of spectators to enjoy perfect weather whilst watching their favourite drivers battle for podium spots as they smoked out the legendary circuit. 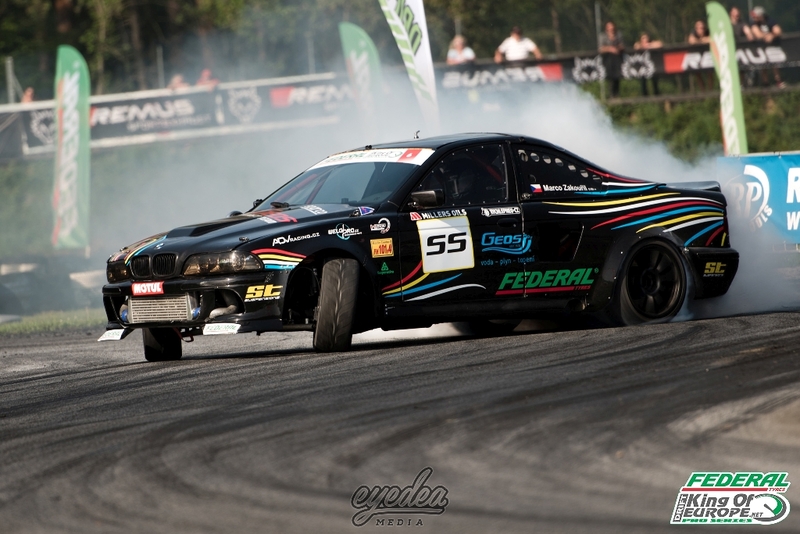 With the most successful driver in the history of Ukrainian drifting, Aleksandr Grinchuk now taking the place of Steve ‘Stiggy’ Evans on the judging panel for the 2018 season. He joined Vernon Zwaneveld to assess the drivers as they began throwing down some insane runs during practice, much to the delight of the crowd. 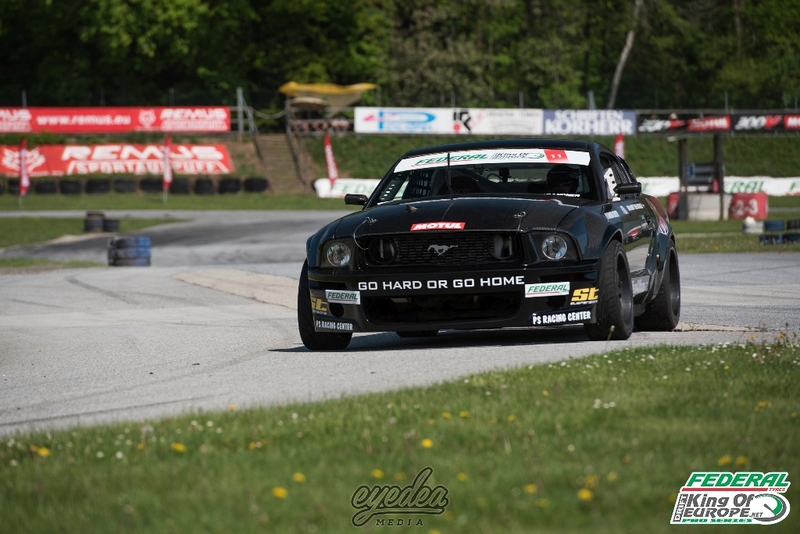 New builds for the 2018 season also surfaced as last years’ Pro2 Champion and local hero Daniel ‘Brandy’ Brandner was there to officially unveil his new full carbon fibre V8 turbo Ford Mustang. 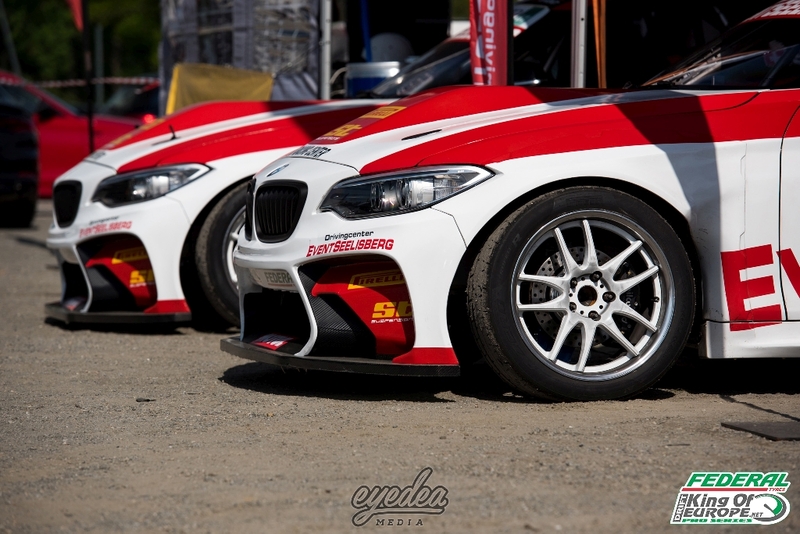 Two more incredible brand new builds on show which the fans were flocking to see were from Swiss drivers Yves Meyer and Hans Schori, the pair of stunning BMW M2’s certainly didn’t struggle to get attention! Saturday afternoon would see qualification take place. After the drivers had thrown down some impressive laps, the telemetry system combined with the judges handed Marco Zakouril a well-deserved first place with 92.77 points. 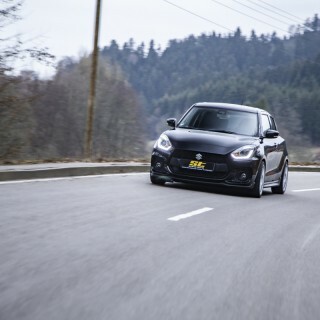 Yves Meyer stunned his opposition in his first Pro Series appearance as he took 91.77 points, achieving second place, proving that his M2 is capable of fighting with the best this season! 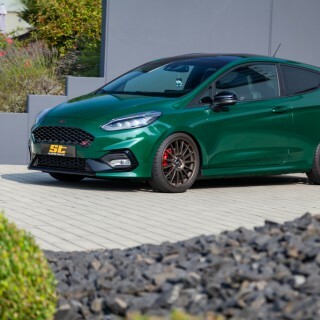 Rick Van Goethem’s impressive consistency throughout the day saw him achieve third place with Italian Amerigo Monteverde taking fourth in his return to the competition. 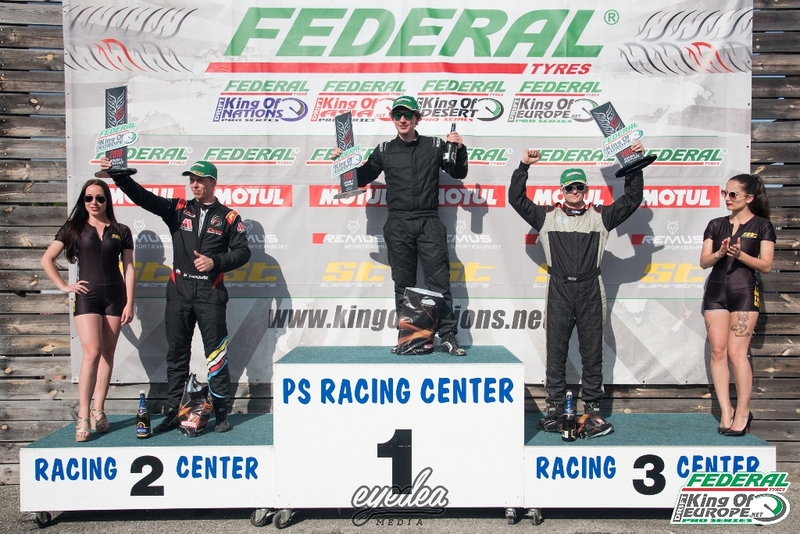 In the Pro2 series qualifying, it was Pavlin Penev who narrowly missed out on the 2017 title that takes the top spot as he fights harder than ever to return to the top of the rankings. 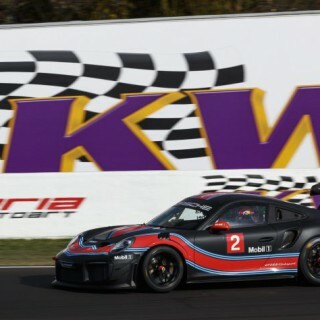 Second place went to local driver Franz Kuncic and third was handed to Milos Djordjevic. 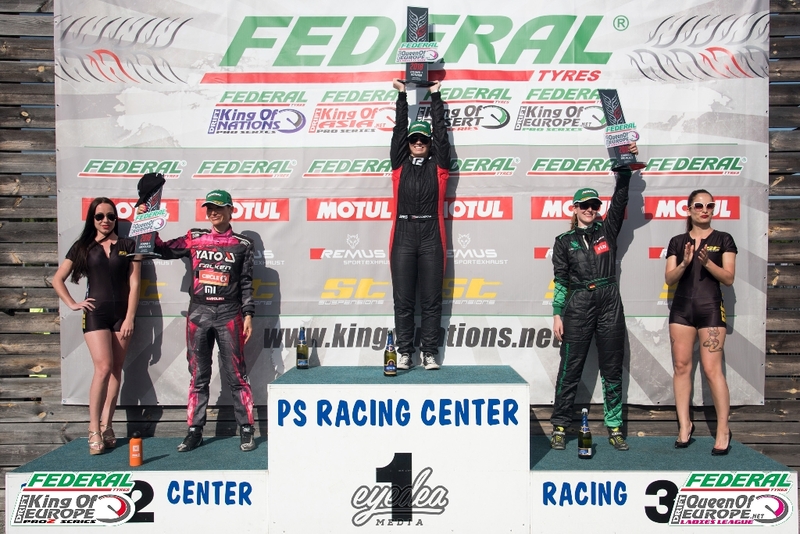 Reigning champion Karolina Pilarczyk took the perfect start in the Queen of Europe series as she once again took first place in qualifying with Michaela Sacherova in second and Denise Ritzmann in third. Sunday would see the first opportunity for the drivers to go head-to-head in the 2018 season and it was immediately clear that there were going to be some intense clashes! The first upset of the weekend was for second place qualifier Yves Meyer, despite a 5-5 initial run against Manuel Vacca, a mistake would cost him the opportunity to advance as Vacca sealed the victory. 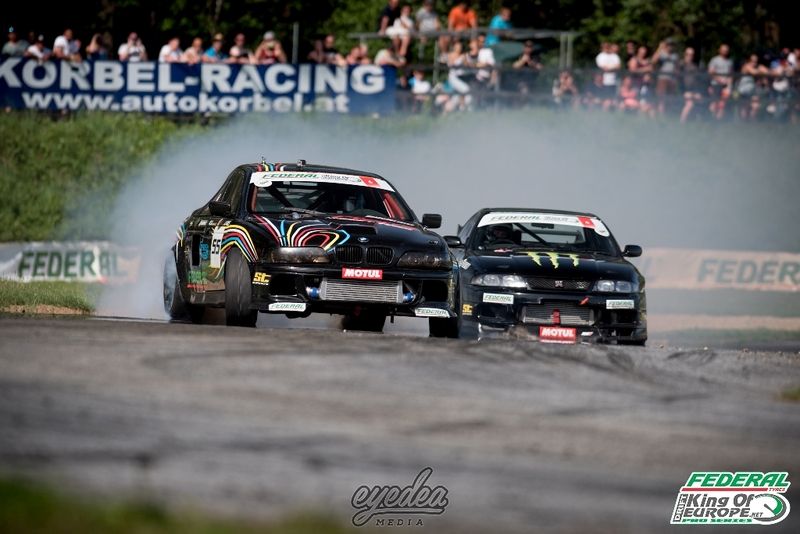 Brandy Brandner’s Pro Series campaign also got off to a challenging start against Norbert Kovacik as car issues halted him mid-run, handing the win to Kovacik. 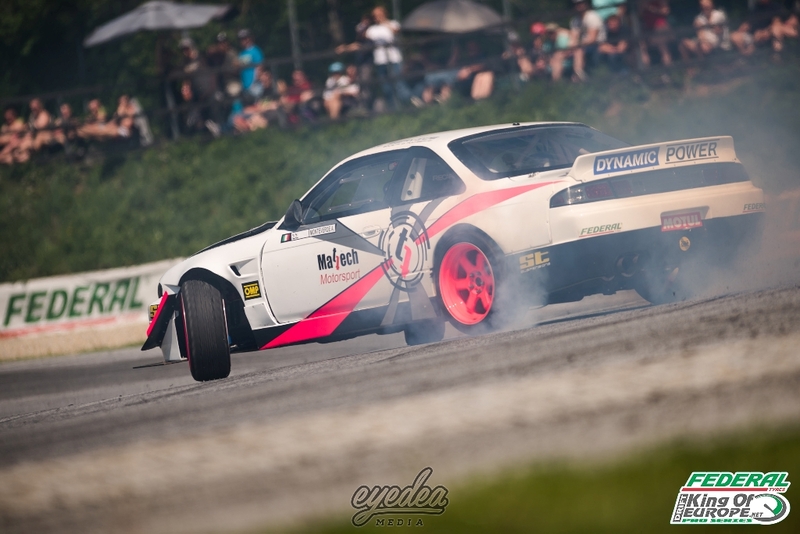 As Zakouril surpassed local driver Alois Pamper, he would meet in-form Amerigo Monteverde in the semi-finals, but unfortunately a car issue mean that Monteverde was unable to reach the start line on the second run to hand over the spot in the final. Meanwhile, Rick Van Goethem’s fantastic form continued as he battled his way past Ettore Carello, Axel Francois and Norbert Kovacik to secure his place against Zakouril in the final. 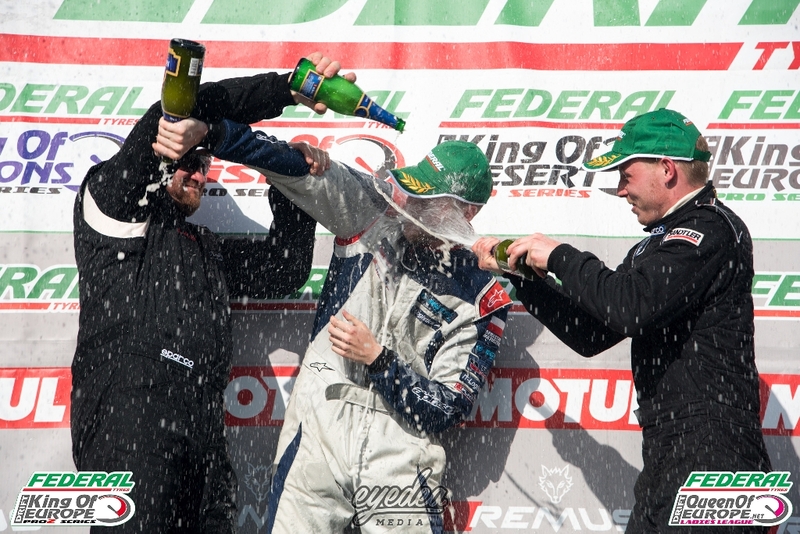 With Monteverde still unable to repair his car for the small final, it would be Norbert Kovacik that sealed his first podium of the 2018 season in third place. 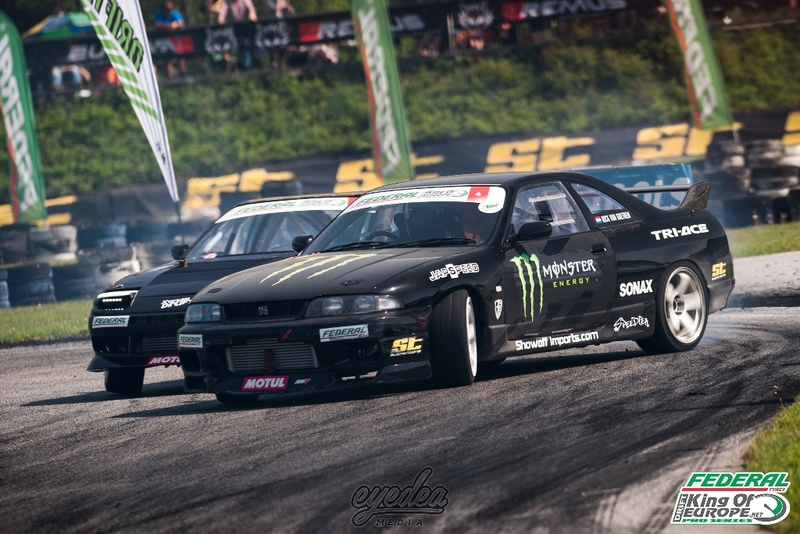 In the battle that everyone had been waiting for, Rick Van Goethem and Marko Zakouril went head-to-head in the final round. As they got underway, Rick sat closer than ever to Zakouril’s door as they both used all of their power through the tricky first corner. Then, disaster struck as Zakouril pushed his car a little too hard, forcing him off track and into the tyre barrier. Unfortunately, too much damage was inflicted to his BMW M5 which meant he would have to hand the first victory of the 2018 season to Rick Van Goethem. 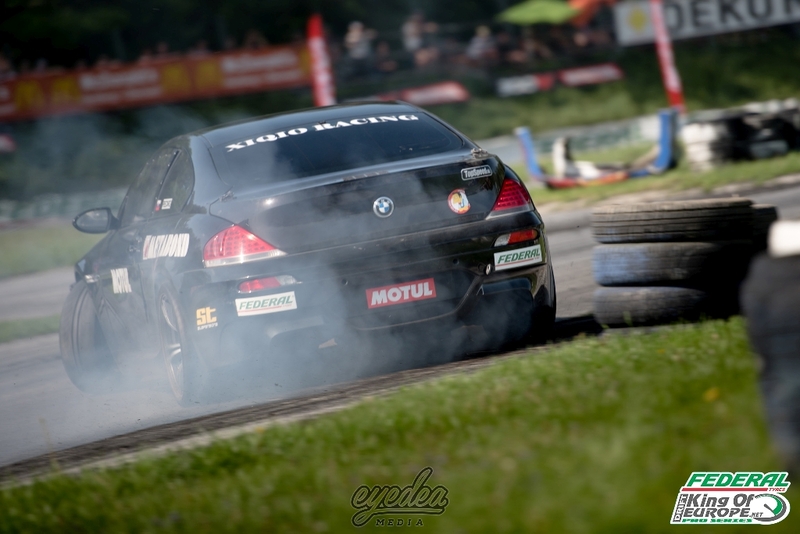 In the Pro2 series, it would be car issues that once again stopped play in the small final as Mario Kuprian had to hand the third spot on the podium to Maxi Grimm. In a replay of the final two years ago here in Greinbach, Pavlin Penev faced Sebastian Matuszewski. With the scores tied after two runs, it was starting to look like the last time these drivers met here, which had two one-more-times! 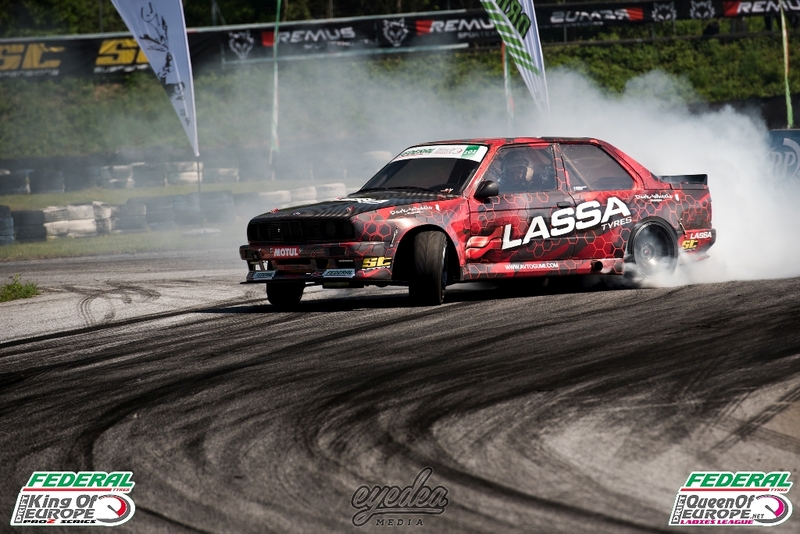 However, this one was settled sooner as the judges decided the first victory of the year goes to Sebastian Matuszewski! In the Queen of Europe series, reigning champion Karolina Pilarczyk knocked out Lenuta Ionita and Michaela Sacherova beat Denise Ritzmann to ensure they faced in the final battle. In the small final, a mistake from Lenuta Ionita cost her the spot on the podium as Denise Ritzmann made no mistake to land third place. After a close hard-fought final between Pilarczyk and Sacherova, it would be a 5-5, 6-4 advantage in Sacherova’s favour that ensured she got the season off to the perfect start on the top of the podium!